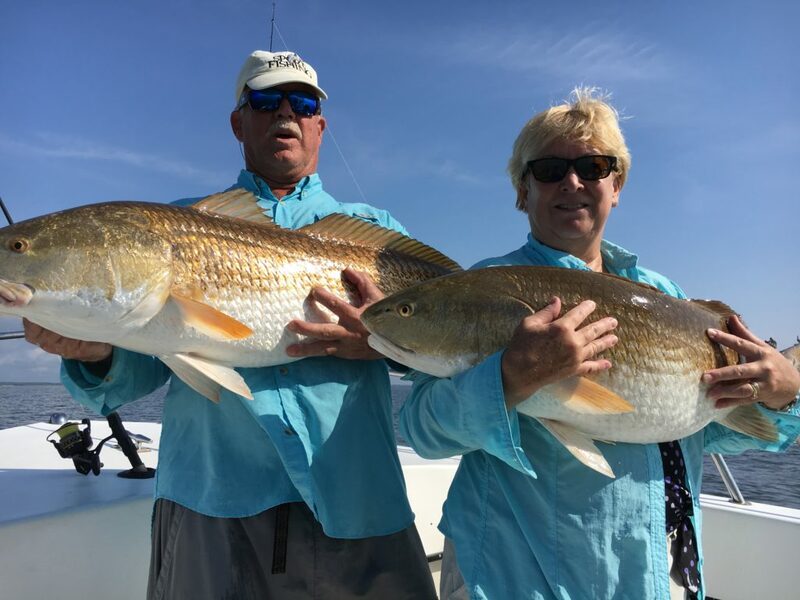 Our quest for trophy Reds starts in late July and runs through the 2nd week in October. 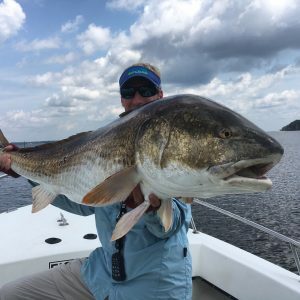 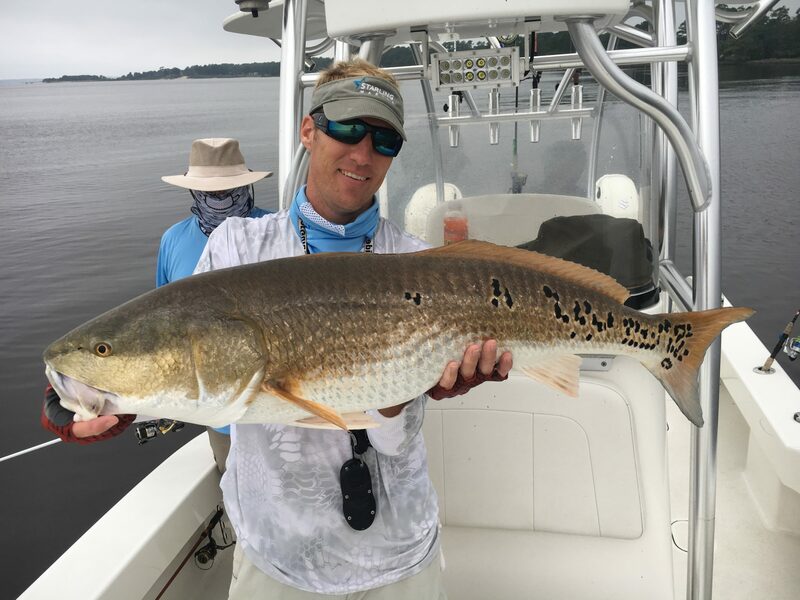 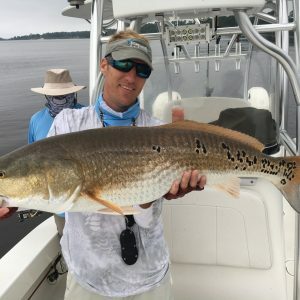 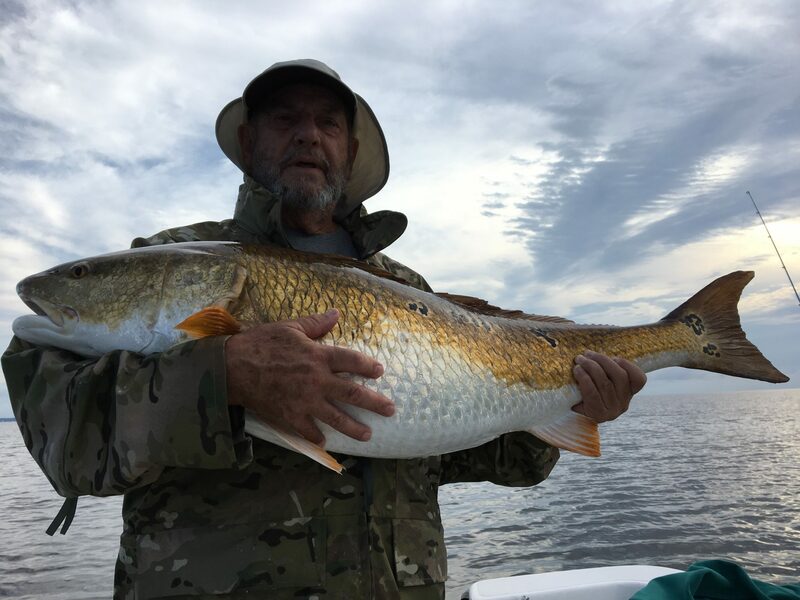 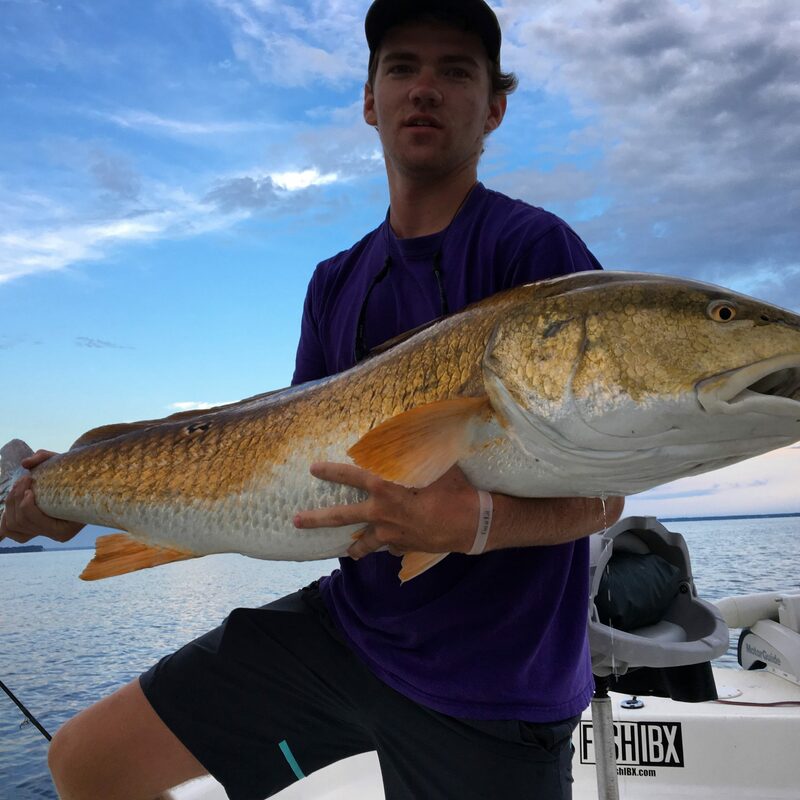 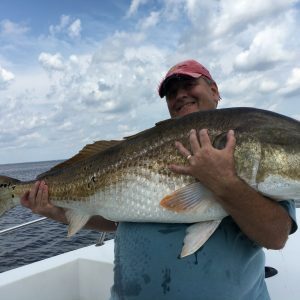 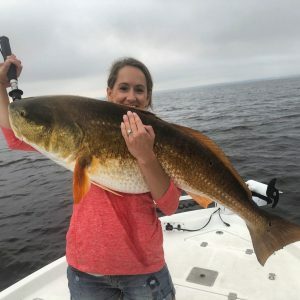 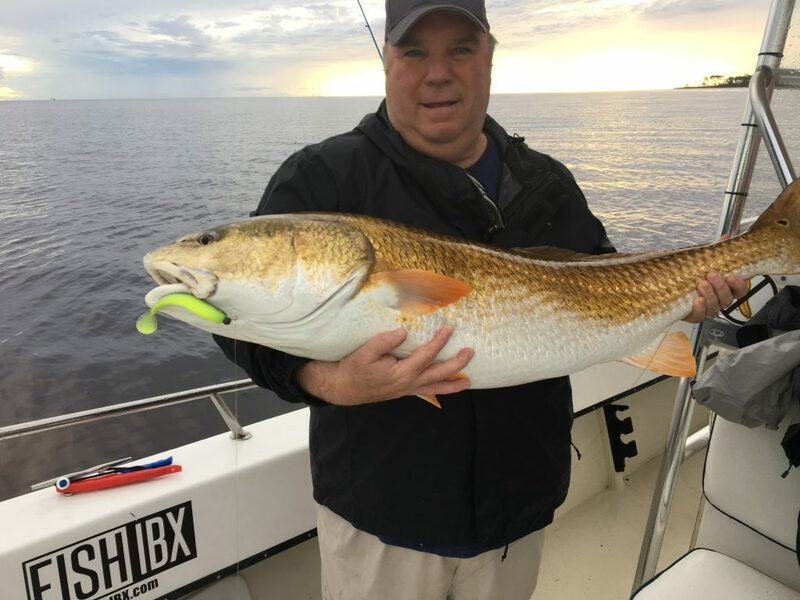 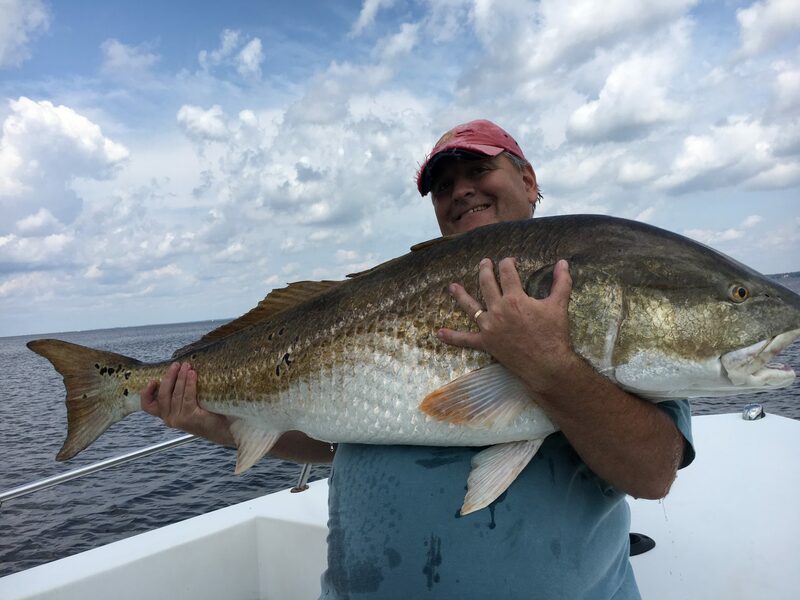 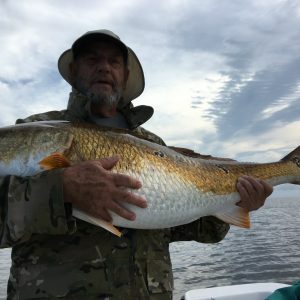 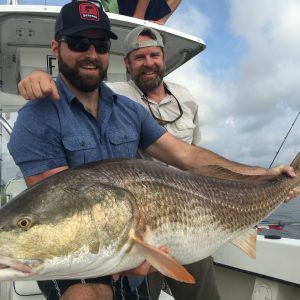 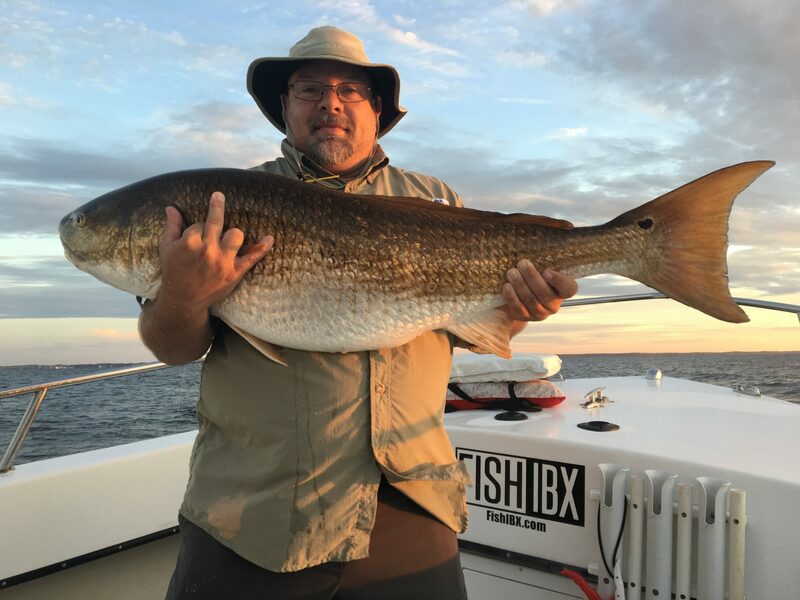 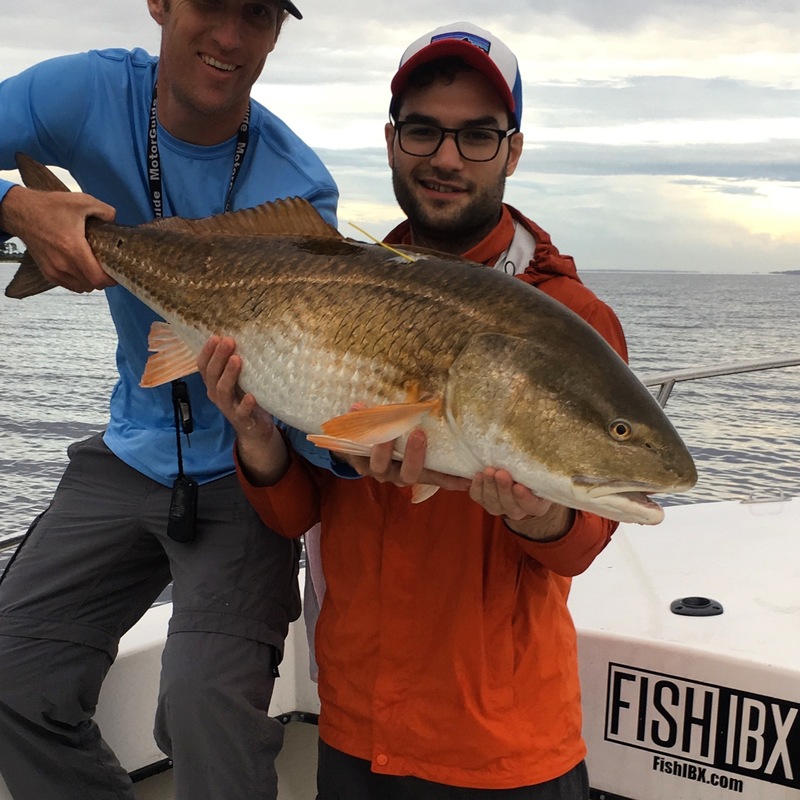 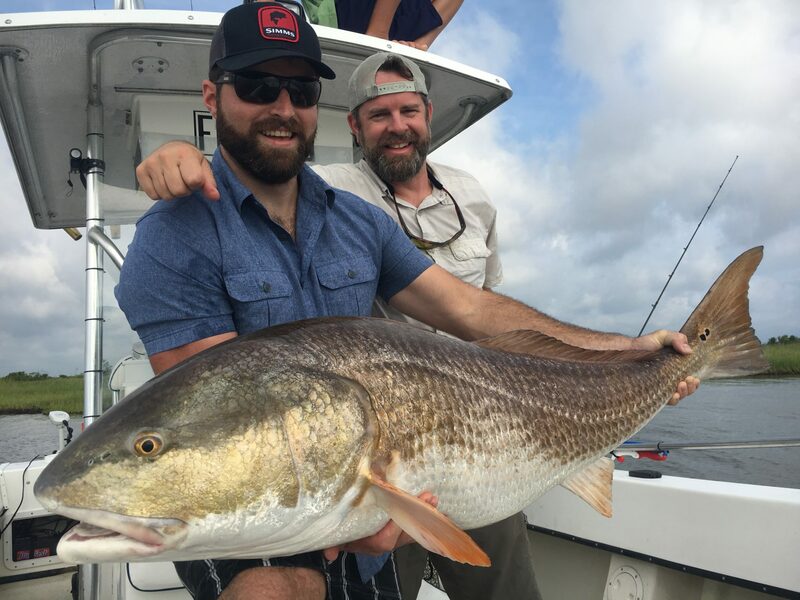 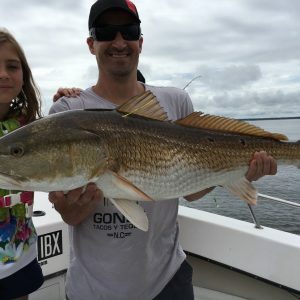 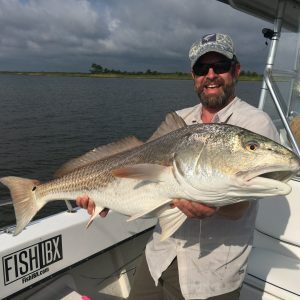 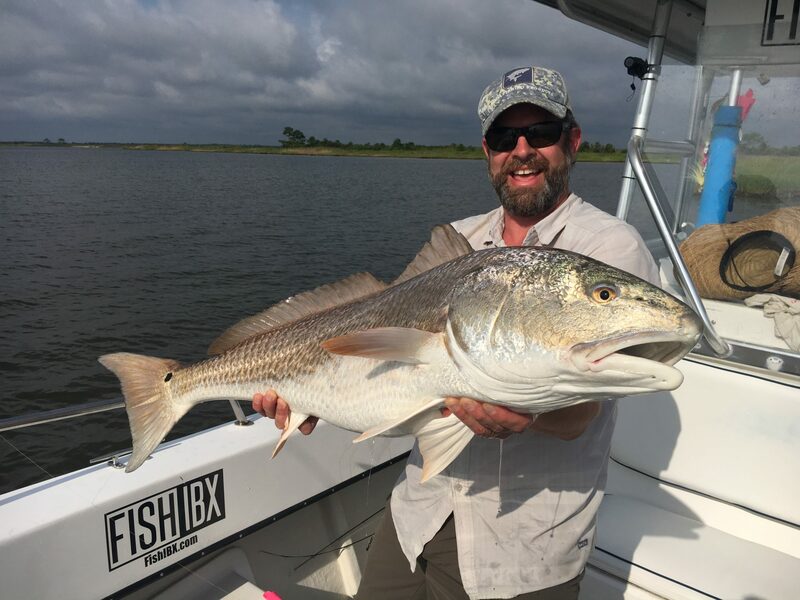 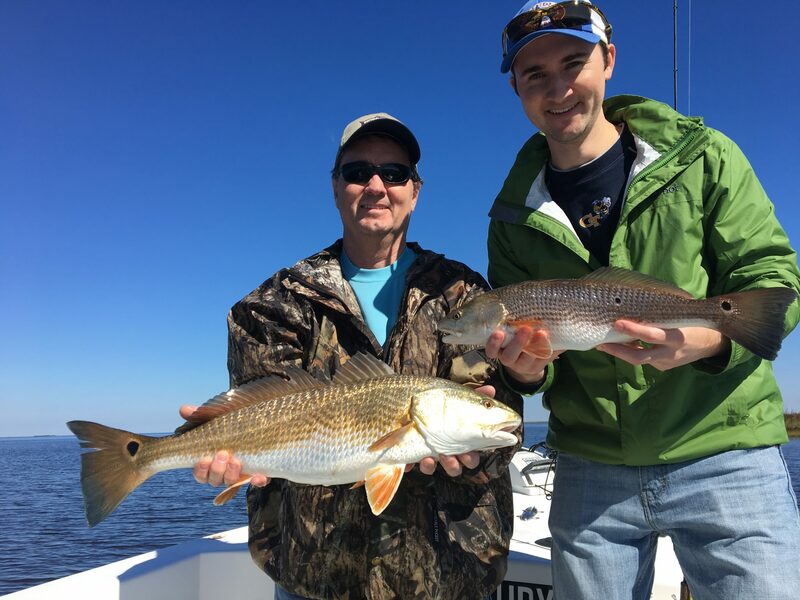 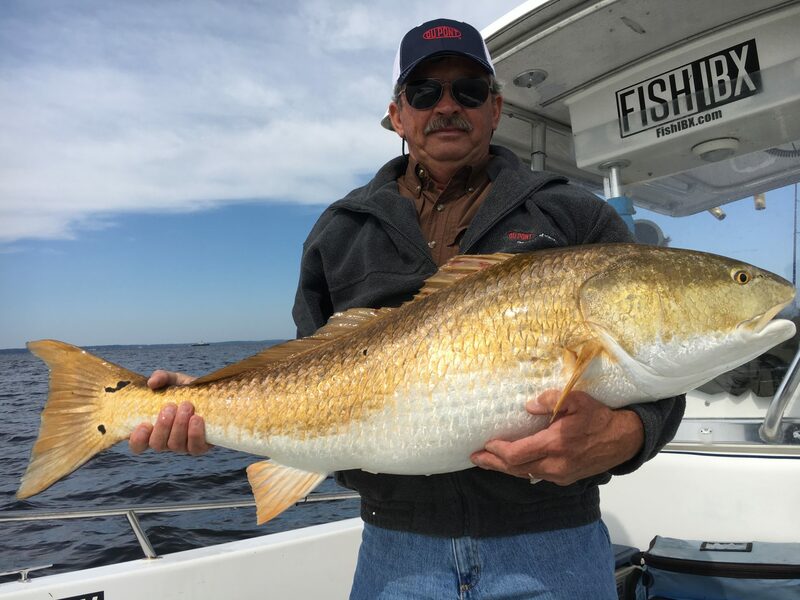 Since 2008 our clients have averaged a 90%+ success rate on landing trophy class Red Drum which is 40 inches or greater in length. 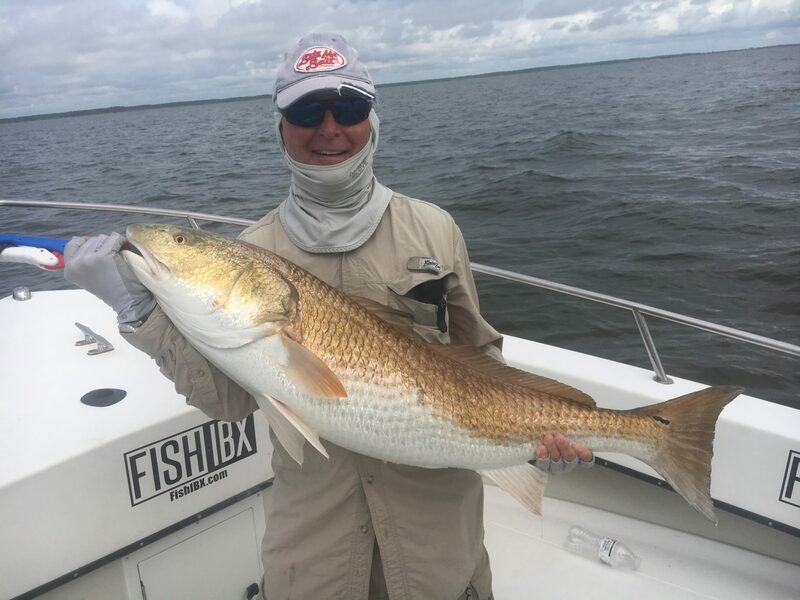 Fish of this class bottom out 50lb scales! 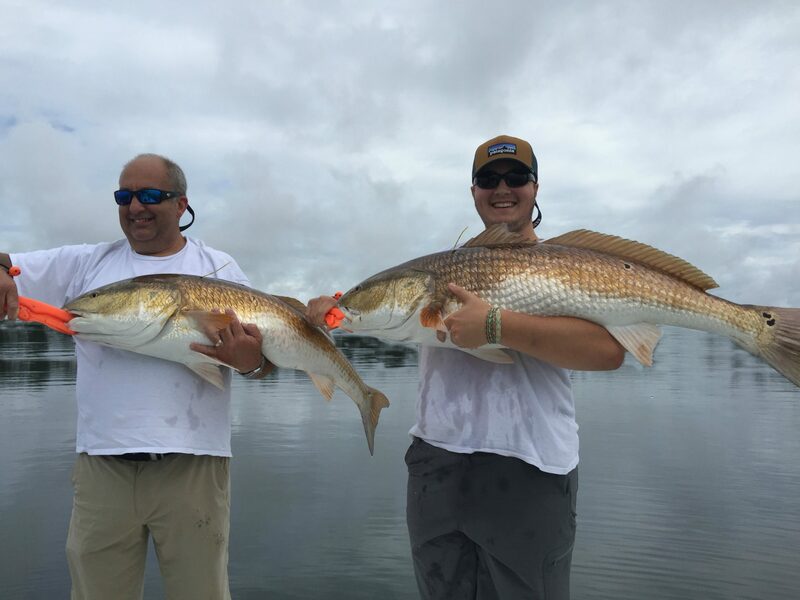 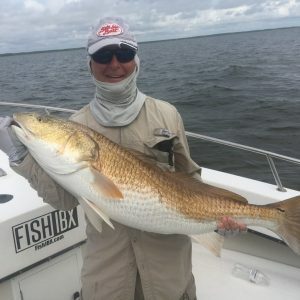 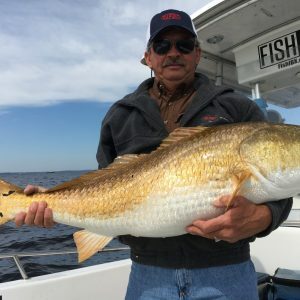 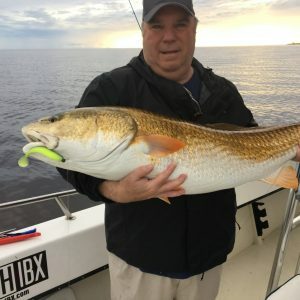 These trophy class Reds are targeted using artificial lures and bait fishing. 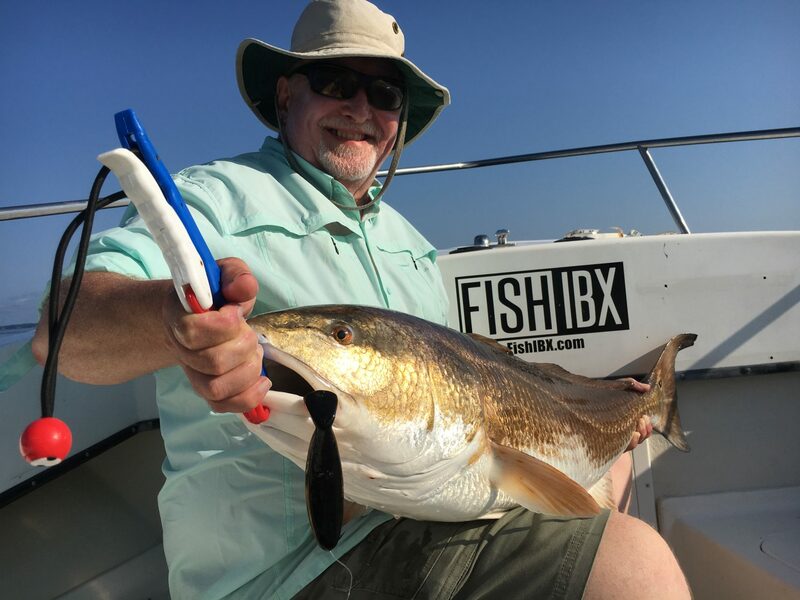 FishIBX also offers guided trips for the Fly angler with outstanding results. 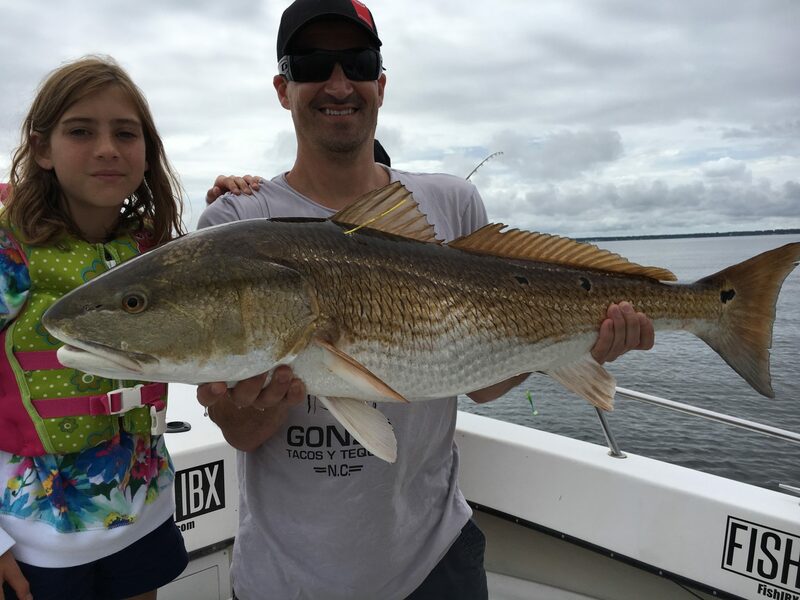 Allow us to put you on a class of Drum that can’t be matched anywhere in the U.S.! 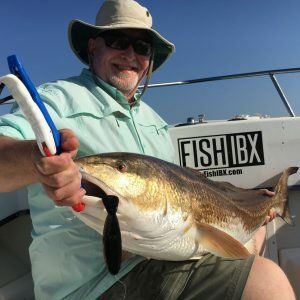 By covering the Inner Banks, Fish IBX is able to extend the “traditional” fishing season for big fish. 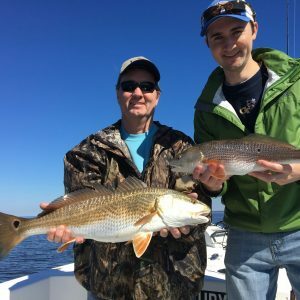 Starting in the upper Pamlico Sound we follow big schools from Swan Quarter through the Pungo River, Pamlico River, through the Bay River and out the Neuse River. 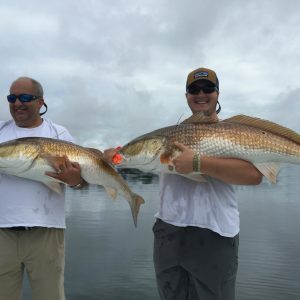 Needless to say we push the extra mile to make sure our anglers get to experience the best of the Inner Banks. 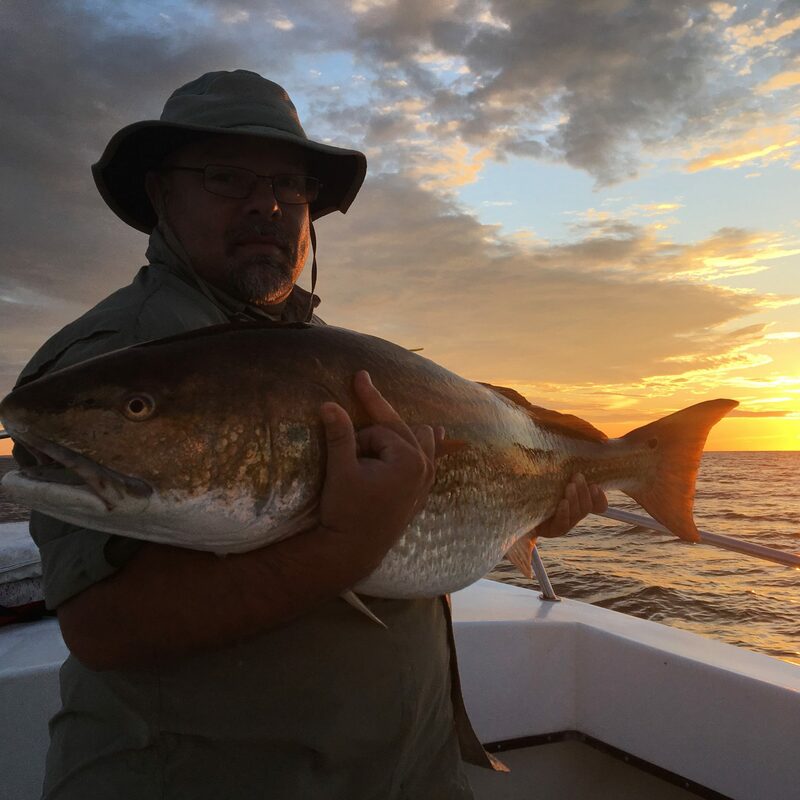 Be sure to book your dates early, last years introduction of the corking method by Capt. Gary Dubile took NC by storm. As Capt. 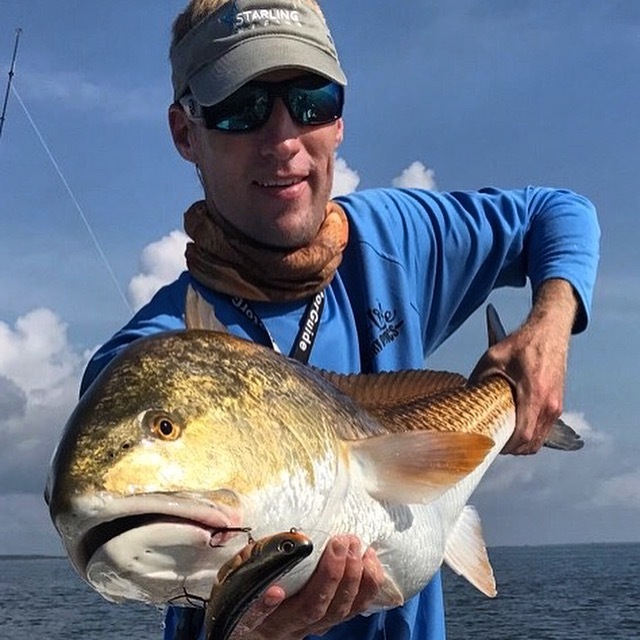 Mitchell Blake customized his 235 C-hawk to become extremely dynamic in this style fishery he also pushed the bar to develop a custom top water lure. 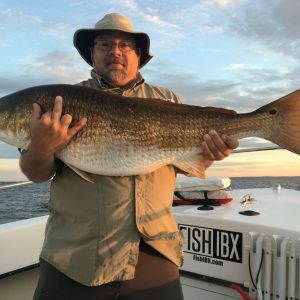 The creation of the Bombshell delivers far beyond your wildest imagination!